As the influence of a wider range of stakeholders increasingly impacts drug development, what are the best ways to find the right people and start a meaningful dialogue? 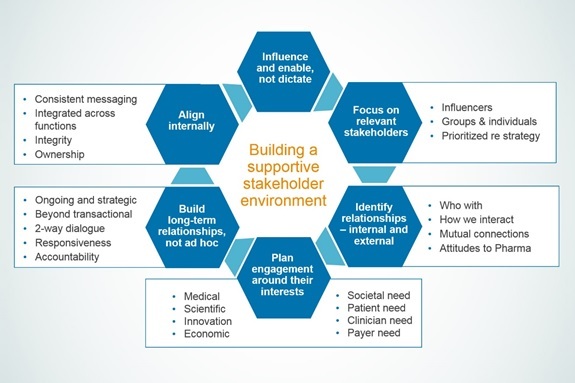 Stakeholder engagement in the pharmaceutical and life sciences sectors has evolved significantly since the early days when industry typically provided financial support and a one-way flow of information, while patient advocacy leaders, medical professionals and other audiences had a limited role and voice. More recently, important learnings together with advances in technology and a movement towards greater patient empowerment have completely restructured these relationships. These changes have required life sciences companies to develop new and more effective relationships with patient advocates and other stakeholder groups. Companies also need to consider stakeholder outreach earlier in the drug development cycle and proceed with levels of transparency and collaboration that would have been considered unthinkable a generation ago. Two factors have played key roles in shaping relationships between industry and external stakeholders in recent years. First is the clear demonstration of the benefits of working with different stakeholder groups. Several companies have introduced innovations in medicine that required entirely new approaches in many areas, including clinical research, regulatory review, drug access and product pricing. To advance innovative drug development programmes, they found that they needed the support of stakeholders in ways that were not required in more traditional pharmaceutical development programmes. Perspectives from patient advocates, clinicians and others often played a pivotal role in assessments of novel medicines with unproven track records and new considerations related to safety, efficacy and cost. The trailblazers – Genzyme’s Henri Termeer chief among them with development of the first therapy to treat Gaucher disease – quickly recognised the vital role of external stakeholders to get products to the regulatory finish line. They set new ground rules for engagement, making the process more collaborative, starting earlier in the development process, and ensuring that relationships remained in sync with the goals and missions of the advocacy and treatment communities. The second critical factor encompasses access to information and the rise of social media. Together with the dawn of the digital age, companies also face expanding legal requirements and trends in broader disclosure of company information. As a result, industry has lost a significant level of control over how and when news related to drug development programmes and other business activities is distributed. Concurrently, patient advocates and other stakeholder groups have been given the resources to organise and use information to influence industry decision making and inspire action among their constituents. Stakeholders are coming to the table better informed and more organised and empowered than ever. drug developers must focus on advocacy and stakeholder engagement early, even when these efforts may not deliver tangible results for several years. 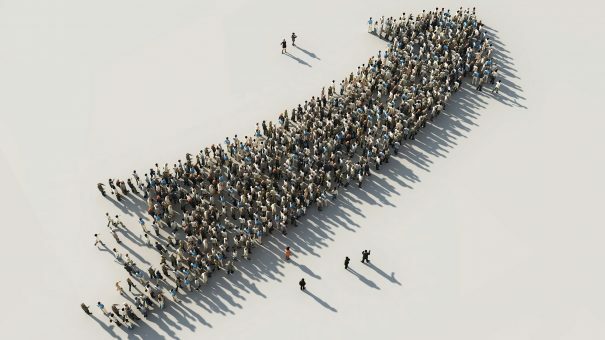 Efforts to navigate through these challenges are now compounded by factors including the growing number and variation in relevant stakeholders. The community of stakeholders in a disease state will often have established relationships and touchpoints of mutual interest as well as areas of overlap and competition. Industry must identify and understand these often complex, and frequently shifting, interrelationships. Industry must engage with stakeholders on the full range of issues that are important to them and their constituents, no matter how sensitive, including drug pricing, patient access, marketing, advocacy, product safety and other matters. Engagement with stakeholders must always be relevant, impactful and integrated across all groups. Information must be delivered rapidly and comprehensively, and insights from these groups must be acknowledged and addressed. Given the rapid growth of advocacy in many areas of health, research on the stakeholder environment in a target disease state is an essential first step. This analysis must identify all relevant community leaders and also prioritise them based on their interest and influence relative to a specific health issue and development programme. The highest levels of engagement should be reserved for those organisations with the strongest interest and influence. There are also important questions to ask up front: What is the best way to engage with each stakeholder? When should that process begin? What issues are mutually relevant? What positions, if any, has the group stated publicly related to these issues? Where are the areas of consensus or disagreement? What are the goals in engaging with each group? Aims. Set clear goals for engaging with each target group right from the beginning. Targeting. Identify the appropriate contacts for engagement and confirm whether there are any existing relationships. Positioning. Use your assessment of each organisation’s areas of interest, expectations, concerns and current positions as the foundation for dialogue and also to integrate each relationship into an overall strategic approach to stakeholder engagement. Appraisal. Assess your own internal performance and positions on the issues of importance to stakeholders. Programme scope. Plan a targeted and relevant programme around core objectives and stakeholder interest designed to improve understanding and drive actions. Ensure all communications are clear and consistent with internal messaging. Long-term delivery. Be clear about what the company hopes to get out of the engagement at every stage and commit to regular long-term interaction. The complexities in managing stakeholder engagements have led some life sciences companies to consider novel approaches like working with third parties. One example is the non-profit Alliance for Patient Access (AfPA), a US-based physician-led patient advocacy organisation focused on policy matters impacting patient access. Working with industry partners, AfPA engages with other advocacy groups and healthcare providers to develop strategies to expand access to approved therapies and appropriate clinical care for patients. Groups like AfPA can bring vital objectivity and balance to these relationships. When considering opportunities to engage with such third-party facilitators, industry must consider the value of this independent leadership against a potential lack of control in some areas. It is important to note, however, that, in all cases, stakeholder engagement requires an investment of both time and resources, including the active involvement of senior leadership at a company. Careful and early planning, that recognises and embraces the rapid advances in patient advocacy, will remain a critical component of success. Andrew Butcher is a vice president in the Life Sciences Practice of global consulting firm Charles River Associates (CRA). 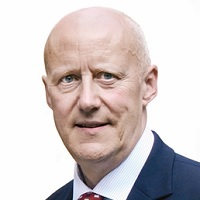 He advises company senior leadership and brand teams on how to maximise the impact of stakeholder relations and communications to drive business strategy and internal change. The views expressed are the author’s and not those of Charles River Associates or any of the organisations with which the author is affiliated.